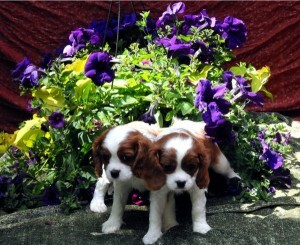 The girls were about five weeks old, and the boys were about eight weeks old when their pictures were taken. 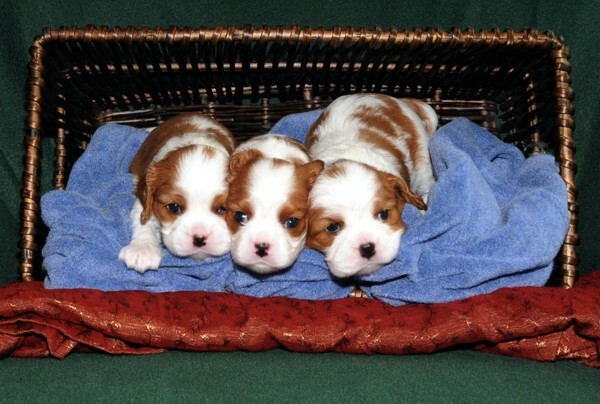 It’s hard to believe that they started out so small, between 5 and 7 ounces each. Other than the necessities, such as shipping out our orders, everything pretty much stops when we have a litter. The puppies are so small and fragile, all of our attention goes to making sure they are kept warm, and are gaining weight. 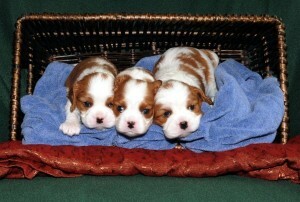 For more information about our dogs, check out the Vintage Cavalier website.